If you’re looking for Chicko, he can most likely be found canvassing ideas, collecting votes, serving on an Advisory Committee, or educating community members – all for Participatory Budgeting in Red Hook, Brooklyn. 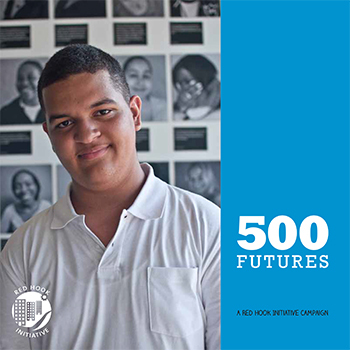 After moving to Red Hook from Miami three years ago, Chicko found himself coming to Red Hook Initiative (RHI) daily. As a high school student in RHI’s Youth Leaders program, Chicko joined the Youth Organizers group and emerged as a leader of Participating Budgeting in his community. He felt empowered by the ability to spark and effect positive change in Red Hook, all the while working alongside District 38’s Council Member Carlos Menchaca. 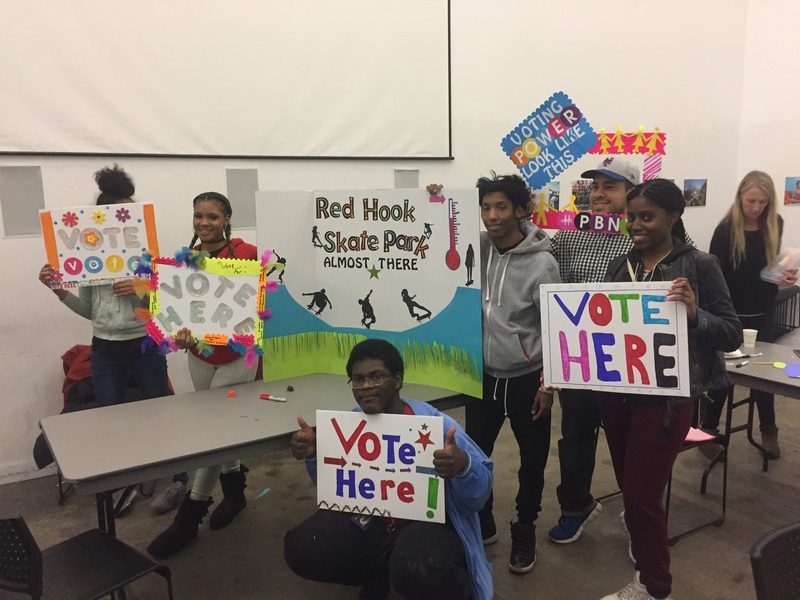 With support from RHI’s staff, Chicko recently earned his high school diploma, and assumed a new role as Co-Facilitator for the RHI Youth Organizers, a group of 10 high school youth leading the PB process in Red Hook. He sees himself beginning college in the fall with the goal of majoring in psychology. Chicko views himself as an, “expert on Participatory Budgeting.” Even though RHI collected more votes than any other site in Red Hook last year, Chicko and his group ambitiously want to increase this year’s goal to 850. Hear from Chicko and his fellow Youth Organizers and find out if they reached their goal at the Particiaptory Budgeting Project’s NYC PBParty Benefit on April 20th, 6-9:30 pm at BRIC BRIC (647 Fulton St, Brooklyn, NY 11217). Chicko will be accepting the Community Activist Award on behalf of RHI at the PBParty. Join RHI and Chicko to celebrate PB and all those who make it possible. Tickets are still available, buy your ticket today! As the 4 year anniversary of Hurricane Sandy approaches, we are shifting our focus to a long standing issue highlighted by the storm, the impact of mold on public housing residents in Red Hook. 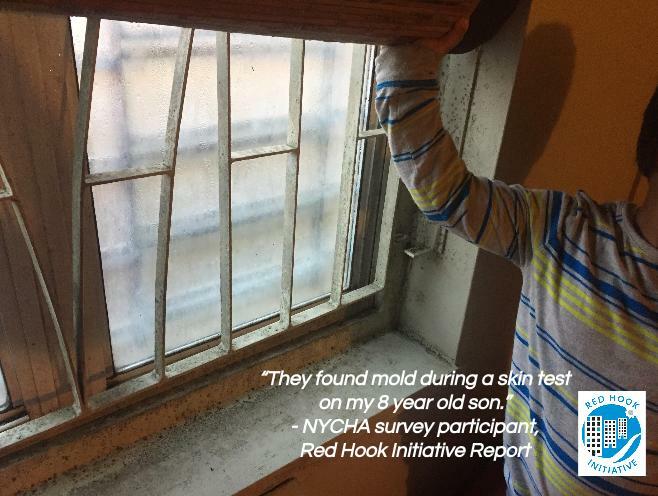 While Sandy brought to light mold problems in deteriorating NYCHA buildings, exposure to mold and its harmful effect on health have plagued residents in Red Hook Houses for years. We are calling for immediate and long term solutions. With the support of resident led research and conversations with nearly 150 community members attending input sessions, we’ve released a report today entitled: The Impact of Mold on Red Hook NYCHA Tenants: A Health Crisis in Public Housing. Read our Press Release here.